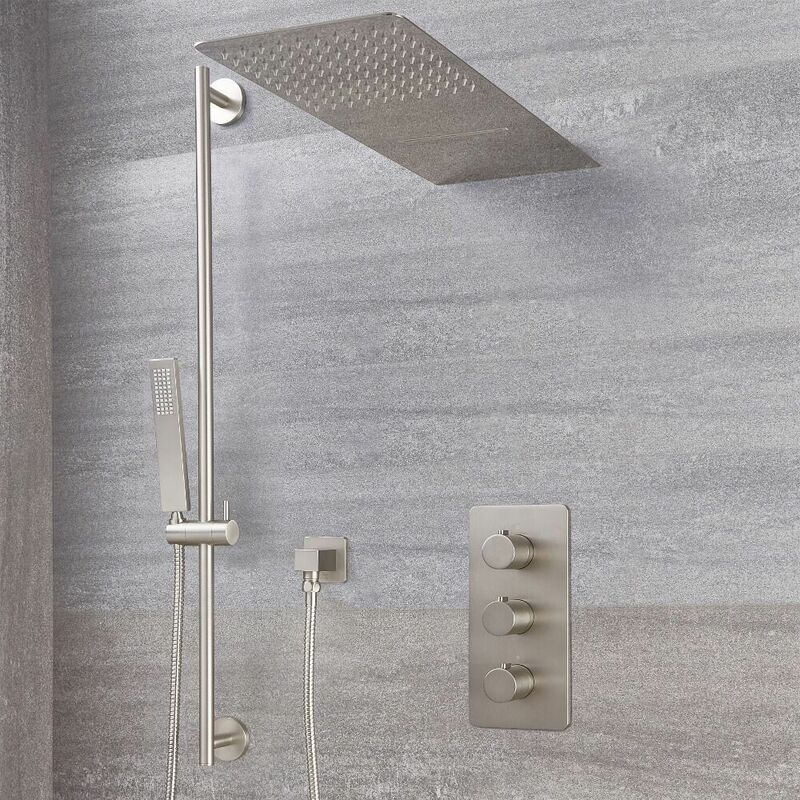 Add a touch of modern designer style to your bathroom, and enjoy a sensational showering experience with the Arcadia thermostatic shower system with multifunction head and slide rail kit. 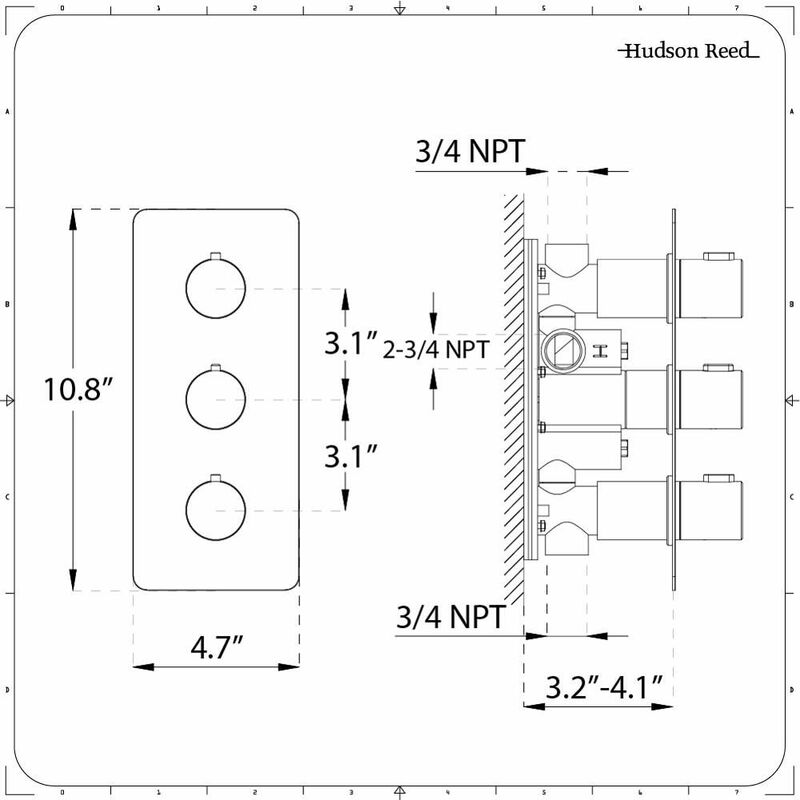 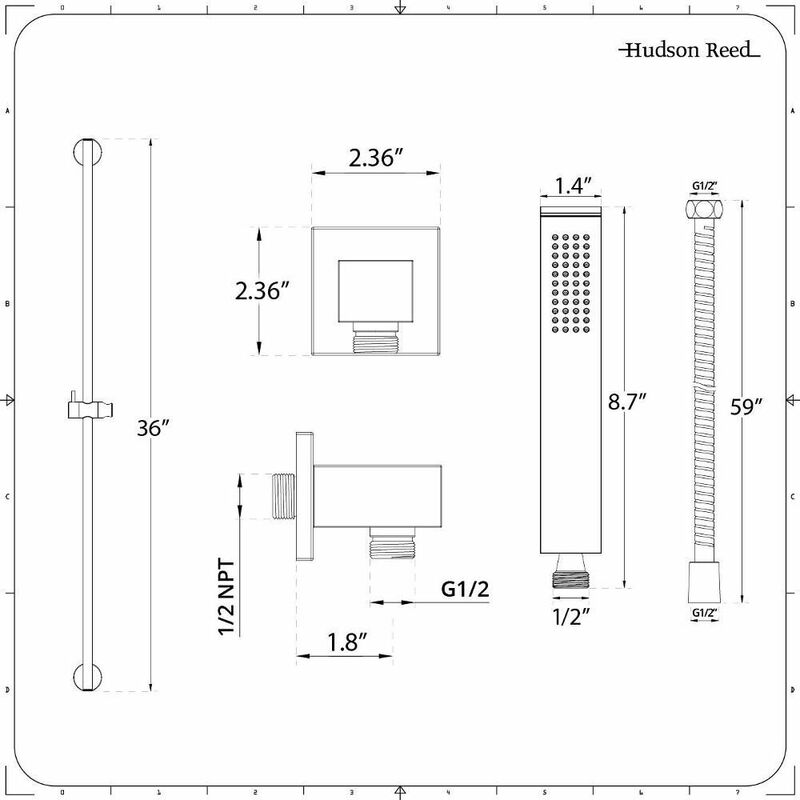 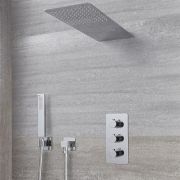 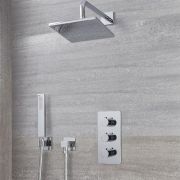 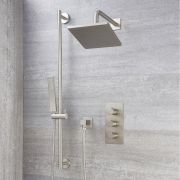 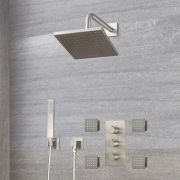 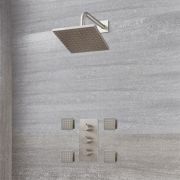 With each element boasting a premium quality construction to ensure excellent durability, the shower system features a thermostatic valve which delivers water to three outlets, as well as a 59” shower hose, an outlet elbow and a hand shower. 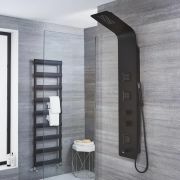 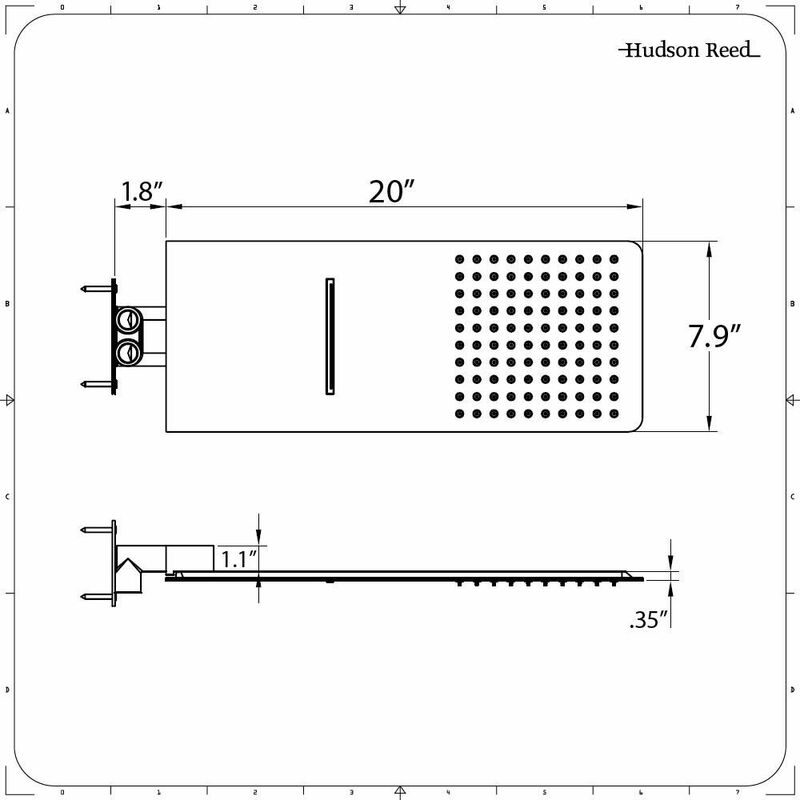 The slide rail kit and multifunction head are supplied too, with the latter delivering both rainfall and waterblade effect flows for a spa-like shower. 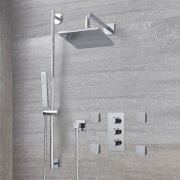 All components are available in a choice of ultra-stylish finishes – chrome and brushed nickel.